Currently, there is no working business-model for journalism. Many newspapers have been suffering from lay-offs or even went bankrupt. The way that people consume media these days has been radically altered by technology, which makes it impossible to generate sustainable revenue streams. Any business-model for journalism that is profitable will end up distracting the purpose of journalism to provide the public with news and information as a result of profit incentives. Many online newssites make most articles available for free. The financial crisis created an environment that made journalism financially unsustainable. Structural problems in the industry are making it impossible for journalism to be financially sustainable. Although the mass-media model of news reporting is clearly struggling, the flourishing of smaller and more independent platforms shows that there is a way forward for journalists outside of the mass-media model. More websites than ever offer news and reporting, indicating that publishers believe the net to be a lucrative field of work. Journalism is relevant to democracy on a high level and can thus rely on the idealism, enthusiasm and passion of the people who make it. Profits of well-known publishers are in part provided by corporate publishing, native advertising and other ways in which corporate and political interests are integrated into editorial work. Newspapers could reduce cost even further by switching to AIs writing articles with minimal human oversight, reducing the operating cost by an order of magnitude. At least some well-known publishers are profitable. News sites on the web experiment with a large amount of different models for payment and subscription while keeping the most important news free. Revenue from advertising is a business model and offers journalism a working business model. 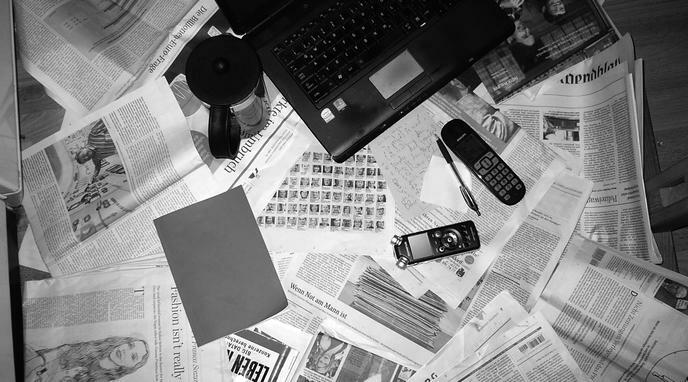 Online journalism offers a variety of new forms of journalism, like multi-media reporting.